Good morning Spring! 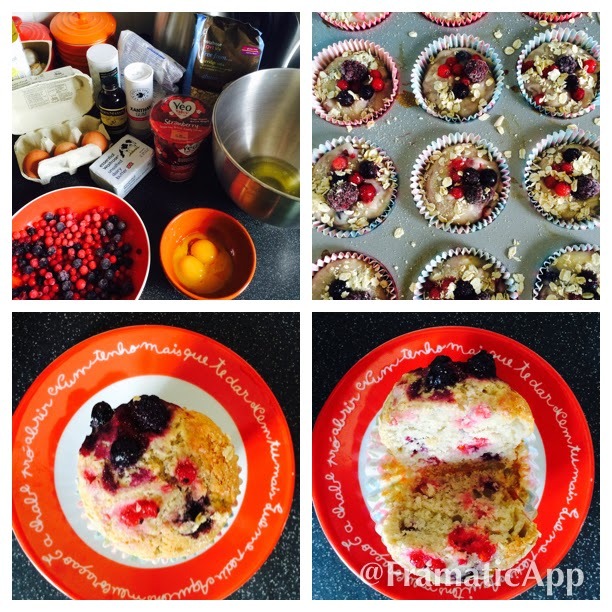 Woke up with the beautiful Spring sunshine on my face and felt inspired to make some summery muffins. I think I might take these for a picnic with the kids later! Super healthy, super yummy, super super super! Preheat the oven to 180 C or gas mark 4. Beat the egg whites and set aside. on a different bowl beat the eggs, sugar,vegetable oil, flour and oats.Mix well for a couple of minutes with an electric whisk. Now fold in the egg whites gently. This will make your muffins light and fluffy. Lastly fold gently the berries. Save about a couple of tablespoons of berries to decorate. Mix the sugar left and oats together and sprinkle the muffins. Bake for 35 minutes.